Deadpool 2 is only a few weeks away from hitting theaters and the official score and soundtrack will be released next week. Now, a preview of the score has been released that seemingly confirms a Juggernaut appearance in the highly anticipated sequel. Jack Kesy's character has been kept a secret, leading to much speculation about just exactly who he is playing. There have now been several clues pointing to the direction of Juggernaut and the score is the latest to provide more evidence to solve this mystery. The score for Deadpool 2 contains a song called "You Can't Stop This Motherf*cker," which on its own doesn't really prove that Juggernaut appears in the sequel. Though it definitely alludes to the mighty villain. It's the lyrics in the song that are the important part here. The main line in the song says, "You can't stop him. He's the Juggernaut. You can't stop this motherf*cker." A choir comes in next and starts singing, "holy sh*t balls," over and over, which pretty much has to be about Jack Kesy's Juggernaut character. 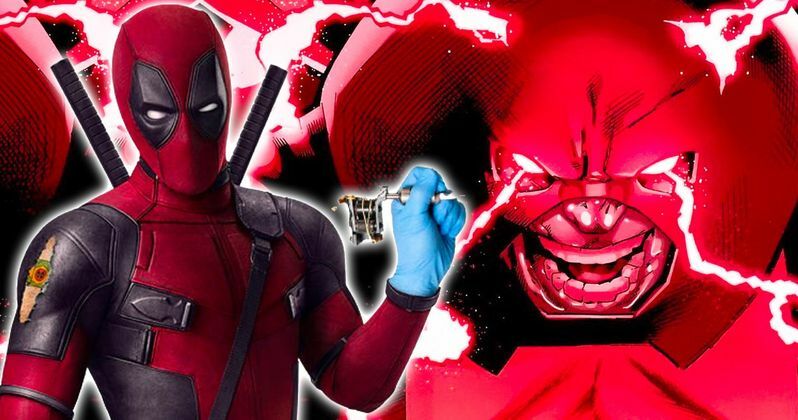 There have been other pieces of evidence supplied over the last several months as well that indicate that Jack Kesy is playing Juggernaut in Deadpool 2. The first of which was a leaked photo from the set that featured Kesy with an oversized helmet on for motion capture work. That alone, is pretty straight forward. Then there was the release of the trailer that shows off a thermal display of a very large mutant that is not Cable of even Colossus. Another piece of evidence is from a recently released TV spot that shows Colossus punching what looks to be Juggernaut's head. Additionally, there have been reports from fans that have seen a test screening that the main villain in the movie is a famous meme, which also points to Juggernaut. The score of Deadpool 2 is just the latest piece to seemingly prove that Jack Kesy is Juggernaut and not Black Tom. Black Tom has also been heavily speculated, but there hasn't really been any confirmation on that either. Regardless, there's only a few weeks to go before Deadpool 2 hits theaters and shows us who the main villain is once and for all. In true Wade Wilson fashion, the Deadpool 2 score (not soundtrack), is the very first to ever receive a parental advisory sticker on the cover. With titles like "You Can't Stop This Motherf*cker," and samples of the lyrics, it's easy to see why. Some special fan screenings of Deadpool 2 will take place next week, so expect some spoilers to hit the internet sometime next week, meaning you might want to avoid certain sites and forums until you can make it out to the theaters.